New video footage relating to the suspicious circumstances surrounding the death of Şule Çet, a Gazi University Textile Design student, has surfaced. Şule (23) died at around 4 am on May 29, 2018. She was on the 20th floor of a luxury skyscraper in the Turkish capital city of Ankara with two of her employers, Berk Akand and Çağatay Aksu. The video footage shows the two suspects, Akand and Aksu, having an altercation outside the venue before getting into the elevator to leave the building about 18 minutes after Şule fell to her death. According to Habertürk correspondent, Fevzi Çakır, the suspects are also seen trying to avoid incrimination by asking the security guards in the basement if they had seen Şule leaving the building. They then exit the building, but Aksu is seen returning about 10 minutes later. The first hearing of the case, which was opened by the Criminal Court, took place on Wednesday 6 February. Sule Çet’s family was in attendance as well as CHP deputies and representatives of various women’s associations and non-governmental organisations. During the court hearing, it was observed that the testimonies of the two suspects, who deny the allegations, were contradictory, as Aksu claimed that he had washed glasses beforeŞule ‘jumped ‘out the window, and Akand stated that Aksu washed the glasses after she had ‘jumped’. 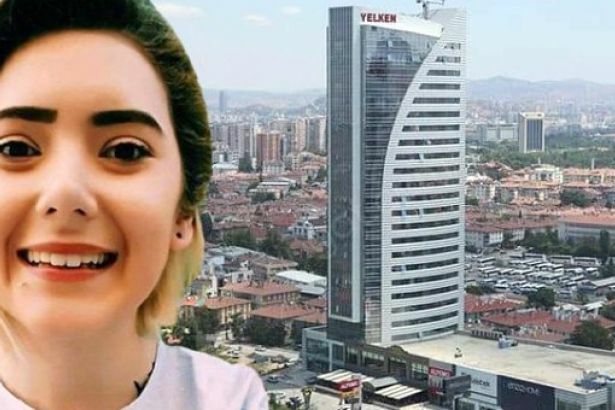 Ankara’s Public Prosecutor’s Office is still investigating the statements, testimonies, reports and telephone calls, as well as the allegations that Sule had been sexually abused and thrown from the 20th floor of the building. Akand and Aksucould be facing up to 39 years in prison for ‘intentional killing’ and sexual assault.